Why are there not enough natural enemies present? As slugs and snails are native in most parts of the world, there should also be natural enemies present. These enemies should keep the slug and snail population in a balance. Even if an invasive species enters into an environment, it will face local predators. These might take a while to get used to their new source of food. But after some time they should recognize the new prey and then help to keep its population in a balance. The massive decline of biodiversity and the extinction of species. Also, many natural enemies of slugs and snails have died out or left the gardens. 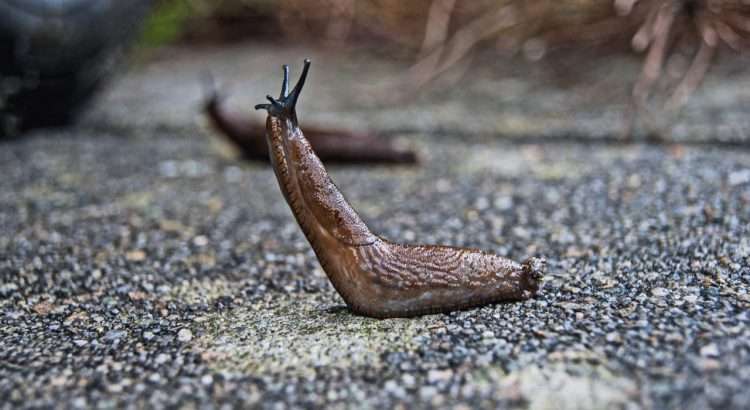 Slug and snail predators: How to attract them into your garden. This leads to the question: Why was the biodiversity in many gardens and nature significantly decreased? 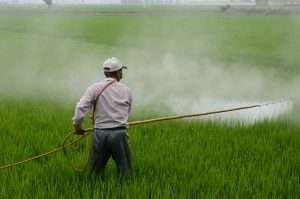 Above all, it is the sad truth that toxic chemicals have revolutionized agriculture and horticulture in the postwar period. They have harmed the biodiversity and have led to the extinction of many species. 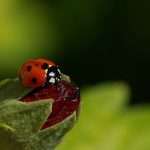 Scientist in Germany showed that insect populations are in sharp decline. Since the 1990s the biomass of flying insects decreased by 75 percent! In most places many species are already extinct; many people do not know that insects are the leading predators of slugs and snails. This is probably the main reason for slug booms in Europe and in many places all around the world. Pesticides can cause a slug boom. If insecticides are used in the garden or its surrounding, many species of insects as beetles, glowworms or horn flies will die are at least be harmed. These animals usually control snail and slug populations. If fewer insects are present other enemies of slugs will also suffer because they need them in their diet to stay healthy. For example toads, hedgehogs, amphibians, songbirds, and lizards need insects and thus are sensitive to the use of insecticides. Slug and snail poisons (molluscicides like metaldehyde, methiocarb, and iron (III) phosphate) kill not only invasive slugs but also their enemies. For example: In Europe garden snails and leopard slugs are natural enemies of invasive Spanish slugs. They eat their eggs and leopard slugs even hunt down adult Spanish slugs. Hence, enemies of invasive species disappear from a garden in which pesticides are used. It is also important to pay attention to the actions of nearby neighbors. If they use poisons, it could also have adverse effects on the diversity of species in your garden. Thus to attract more enemies of slugs and snails, it is necessary to abstain from the use of pesticides. Order in the garden reduces the biodiversity. Nature does not know disorder. What seems unclean, dead or messy to humans usually is a rich habitat for many animals. To keep the garden neat and clean is therefore problematic and a cause for a decline of biodiversity. The more such “wild” places exist, the higher the biodiversity in the garden will be. And if many different species are present, it is less likely that one of them could become a problem. Hence, you could actively create many different habitats, such as piles of branches/foliage or places where deadwood can slowly decompose. It is also of significant advantage to have a pond in the garden or at least a small waterhole – all animals need a water supply. 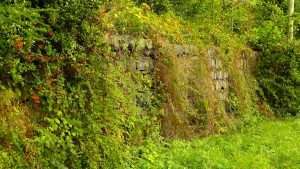 Similarly, a stone wall or chains with many cracks and loopholes can become valuable habitats. In these places, many enemies of slugs will make a home – for example, lizards or different types of ground beetles. 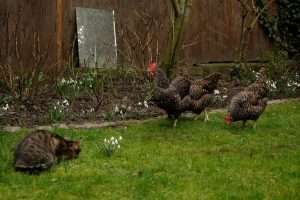 Chickens are natural enemies of slugs and snails. From my childhood, I remember that chickens and ducks were able to walk around freely on the farm of my grandparents. The devoted chickens followed every step of my grandmother across her yard and through the garden. At that time, these animals also found and consumed many snails and their eggs. But today there is hardly any free-roaming poultry. Nowadays most chickens and ducks live in coops or stables to protect them from their enemies. This, too, is one of the reasons why snails and slugs could become more and more of a problem. Video: Chickens eat a lot of slugs. 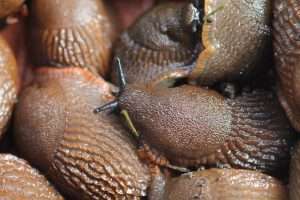 Mild winters are helping snail and slug populations to increase. Global warming is in most places no longer a secret, and it helps slugs and snails to hibernate. When frosts are missing or less severe, slugs and their eggs easily can survive during the cold periods. The eggs of the Spanish slug shall be able to survive temperatures up to minus 4 degrees Fahrenheit (-20° Celsius) and the slugs themselves up to 14 degrees Fahrenheit (-10° Celsius). 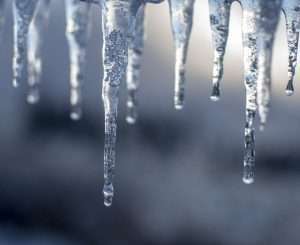 Therefore, long frosty periods are necessary to decrease their population. But on the other hand, also many enemies of the slugs profit from more moderate temperatures. Hence, this is probably not the crucial factor for the slug booms. Nevertheless, climate change plays a role in explaining the common slug and snail problems. For a long time, plant breeding did not focus on the resilience of the plants but only on profit. Each year new varieties of plants appear to increase the yield of the fruits, to make the vegetables tastier, and to make the flowers more beautiful. 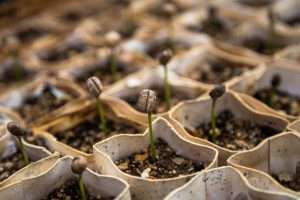 But rarely the breeding is concerned with the resilience and resistance of the plants. 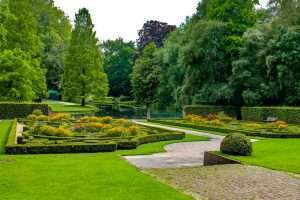 Therefore, in gardens and on fields plants have spread, which are no longer equipped with proper self-defense mechanisms. Flowers and vegetables lost features that protected them against pests – as slugs and snails. However, a rethinking is slowly beginning to take hold, and in organic farming, more and more emphasis is placed on the plants natural abilities to resist all kinds of pests. The protection of old species also plays a vital role because they often are more resilient to pests. Therefore, it is crucial to observe which plants are avoided by pests and which ones are preferred. Then during the selection of seeds and seedlings, you can choose slug resistant variants. 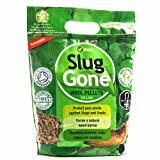 This is a preventative step to reduce the damage caused by slugs and snails. 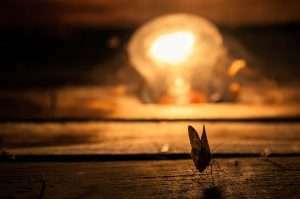 Regular lights are a trap for insects. Warm-white LEDs can help them. Since 100 years more and more artificial lights illuminate the night. This makes the lives of people safer, but it harms many nocturnal animals. Again especially insects are suffering from this modern phenomenon. Street lighting and increased nighttime traffic are continually decreasing the populations of moths and other light-sensitive species. Glowworms like fireflies have entirely disappeared from most populated areas. These beetles are particularly susceptible to light pollution. At the same time, fireflies are industrious and highly specialized slug and snail hunters. Their larvae nearly solely feed on slugs and snails before after several years they become adult beetles. Also, hedgehogs suffer when there are fewer insects. They especially like to eat moths; because insect food is very important for their immune system. If hedgehogs eat too many slugs and snails and only a few insects, they can develop a lung-disease and die. An easy way to help the nocturnal insects is to use warm-white LEDs (1000-3000 Kelvin) instead of other light sources. Most insects can not see a warm red light, but they are attracted by the blue light frequencies, which are less emitted by warm-white LEDs. 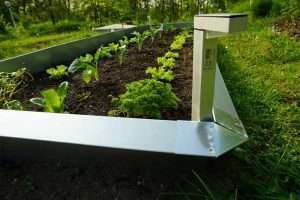 Therefore modern LED technique is an easy way to help the insects and to indirectly fight slugs. 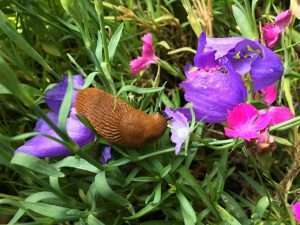 Slugs do not care about light or pesticides. Their enemies do. These are some of the leading causes that have contributed to the fact that snails and slugs became a problem in many places all over the world. Invasive species can only become a problem if they are not facing enough natural predators. Natural enemies have died out because environmental toxins were used. But also the strive for order and more and more light has led to the extinction of many beneficial animals. As a result, the natural biodiversity declined rapidly. Consequently fragile biological equilibriums have fallen apart. Therefore, it is now up to you to take counteractions in your garden. There is a lot you can do to build a local ark in your backyard. Many little steps slowly lead to a change. Thereby it is possible to return to a garden in which nature and many different species will flourish. For many species, it is not yet too late. A hedge combined with a dry stone wall will boost biodiversity. An excellent way to start is to plant as many different native shrubs and flowering plants as possible; then native animals find food. And if they find food, they will settle down. Foreign plants often only insufficiently serve the needs of local animals. If you increase the biodiversity, it will not only prevent slug and snail problems. Also, pests such as aphids, mites or Colorado potato beetles can only flourish if their natural enemies have disappeared. A metal slug fence immediately protects vulnerable plants. The return to a more natural garden and the resettlement of slug enemies takes time. Thus, you need something to bridge the time when your plants are already under slug attack. 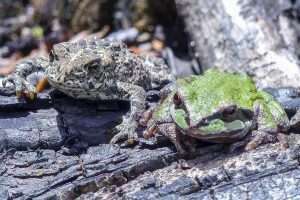 In this situation, some people use poisonous slug baits or beer traps. But this is a horrible idea – with baits you attract even more pests into your garden. Fortunately, there are many alternative ways to protect endangered plants.